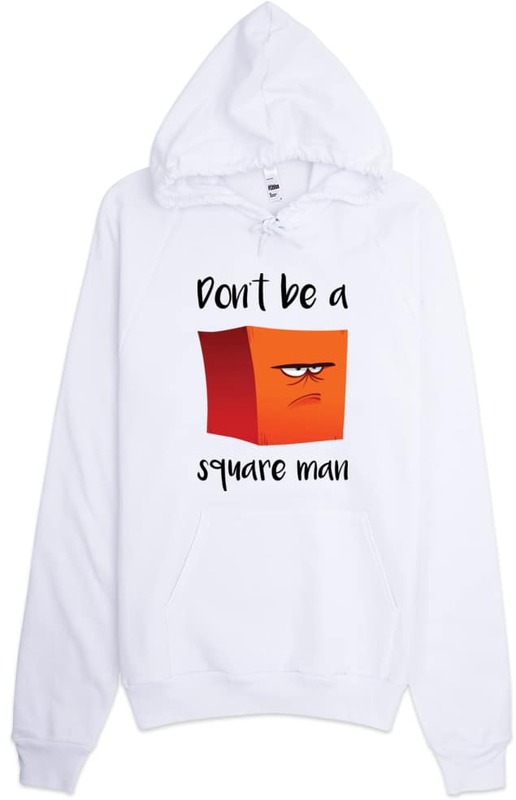 Super cool square man cartoon designer hoodie by Squeaky Chimp and printed on American Apparel. This is a unisex size so women should order a size smaller. This cartoon hooded sweatshirt is ultra comfortable, soft, smooth and stylish. Perfect for cooler evenings.